More details on the death of Kodachrome in the press release below. ROCHESTER, N.Y., June 22 — Eastman Kodak Company announced today that it will retire KODACHROME Color Film this year, concluding its 74-year run as a photography icon. 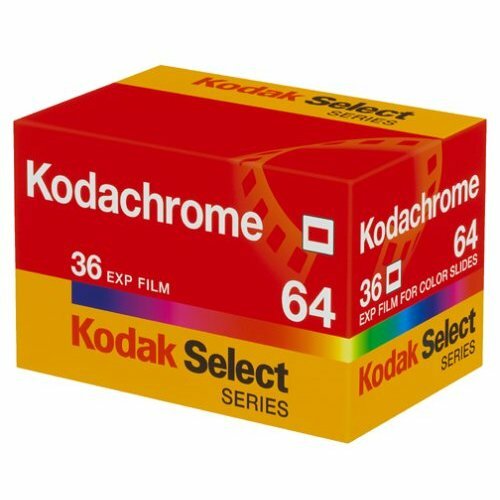 Sales of KODACHROME Film, which became the world’s first commercially successful color film in 1935, have declined dramatically in recent years as photographers turned to newer KODAK Films or to the digital imaging technologies that Kodak pioneered. Today, KODACHROME Film represents just a fraction of one percent of Kodak’s total sales of still-picture films. While Kodak now derives about 70% of its revenues from commercial and consumer digital businesses, it is the global leader in the film business. Kodak has continued to bring innovative new film products to market, including seven new professional still films and several new VISION2 and VISION3 motion picture films in the past three years.These new still film products are among those that have become the dominant choice for those professional and advanced amateur photographers who use KODAK Films. As part of a tribute to KODACHROME Film, Kodak will donate the last rolls of the film to George Eastman House International Museum of Photography and Film in Rochester, which houses the world’s largest collection of cameras and related artifacts. McCurry will shoot one of those last rolls and the images will be donated to Eastman House. To celebrate the film’s storied history, Kodak has created a gallery of iconic images, including the Afghan girl and other McCurry photos, as well as others from professional photographers Eric Meola and Peter Guttman on its website: www.kodak.com/go/kodachrometribute. Special podcasts featuring McCurry and Guttman will also be featured on the website. Kodak estimates that current supplies of KODACHROME Film will last until early this fall at the current sales pace. Dwayne’s Photo has indicated it will continue to offer processing for the film through 2010. Current KODACHROME Film users are encouraged to try other KODAK Films, such as KODAK PROFESSIONAL EKTACHROME E100G and EKTAR 100 Film. These films both feature extremely fine grain. For more information, please visit www.kodak.com/go/professional. Awwww, that’s such a shame. Thank you to Kodak for all the fantasic fun I have had with the Kodachrome 64 for the past 19 years. I used to buy a block at a time (100 spools with processing included) and never ever had anything but good reliable service from the company…. Thanks Kodak, RIP Kodachrome….